Drawing inspiration from psychology, computer vision and machine learning, the team in the Computer Laboratory at the University of Cambridge has developed mind-reading machines - computers that implement a computational model of mind-reading to infer mental states of people from their facial signals. Using a digital video camera, the mind-reading computer ppt system analyzes a person's facial expressions in real time and infers that person's underlying mental state, such as whether he or she is agreeing or disagreeing, interested or bored, thinking or confused. Prior knowledge of how particular mental states are expressed in the face is combined with analysis of facial expressions and head gestures occurring in real time. The model represents these at different granularities, starting with face and head movements and building those in time and in space to form a clearer model of what mental state is being represented. Software from Nevenvision identifies 24 feature points on the face and tracks them in real time. Movement, shape and colour are then analyzed to identify gestures like a smile or eyebrows being raised. Combinations of these occurring over time indicate mental states. For example, a combination of a head nod, with a smile and eyebrows raised might mean interest. The relationship between observable head and facial displays and the corresponding hidden mental states over time is modeled using Dynamic Bayesian Networks. Current projects in Cambridge are considering further inputs such as body posture and gestures to improve the inference. We can then use the same models to control the animation of cartoon avatars. We are also looking at the use of mind-reading to support on-line shopping and learning systems. 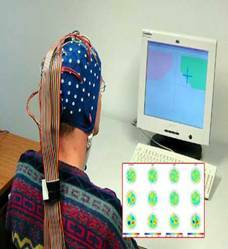 The mind-reading computer system may also be used to monitor and suggest improvements in human- human interaction. The Affective Computing Group at the MIT Media Laboratory is developing an emotional-social intelligence prosthesis that explores new technologies to augment and improve people's social interactions and communication skills. The mind reading actually involves measuring the volume and oxygen level of the blood around the subject's brain, using technology called functional near-infrared spectroscopy (fNIRS). 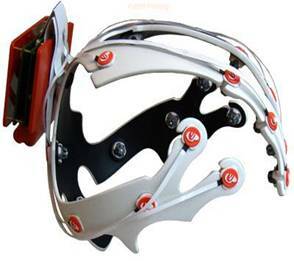 The user wears a sort of futuristic headband that sends light in that spectrum into the tissues of the head where it is absorbed by active, blood-filled tissues. The headband then measures how much light was not absorbed, letting the computer gauge the metabolic demands that the brain is making. The results are often compared to an MRI, but can be gathered with lightweight, non-invasive equipment . Wearing the fNIRS sensor, experimental subjects were asked to count the number of squares on a rotating onscreen cube and to perform other tasks. 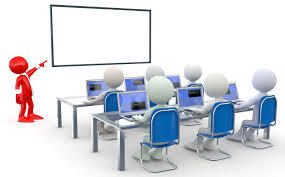 The subjects were then asked to rate the difficulty of the tasks, and their ratings agreed with the work intensity detected by the fNIRS system up to 83 percent of the time.